Here is the weekly oracle card reading. 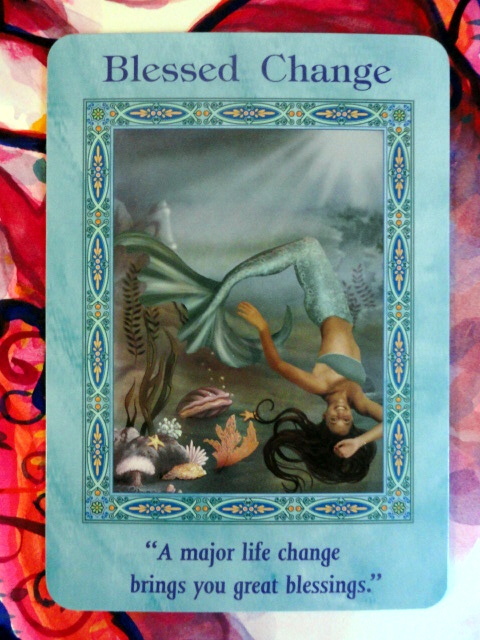 This week I am guided to use the Magical Mermaids and Dolphins Oracle Cards Deck by Doreen Virtue. 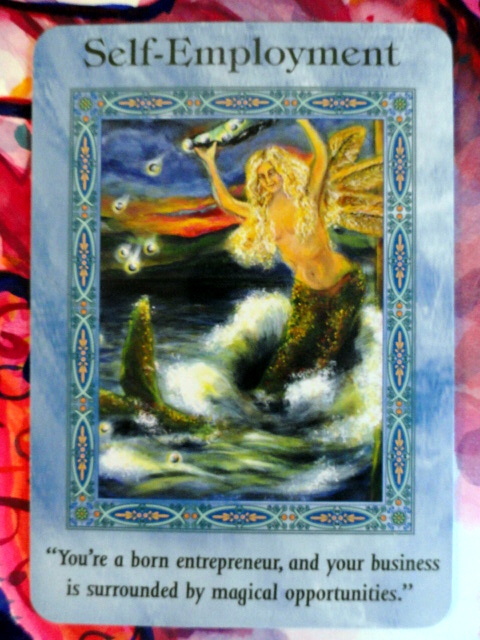 This card deck is a powerful tool for looking at how to manifest your desires, life purpose and Divinely inspired dreams.Mermaids are magical spiritual helpers who exist on the etheric plane and are ready to assist us. Dolphins are the mermaid’s physical companions, playmates and co-workers. Together they bring magical otherworldly energy to Earth and remind us of the power of playfulness. 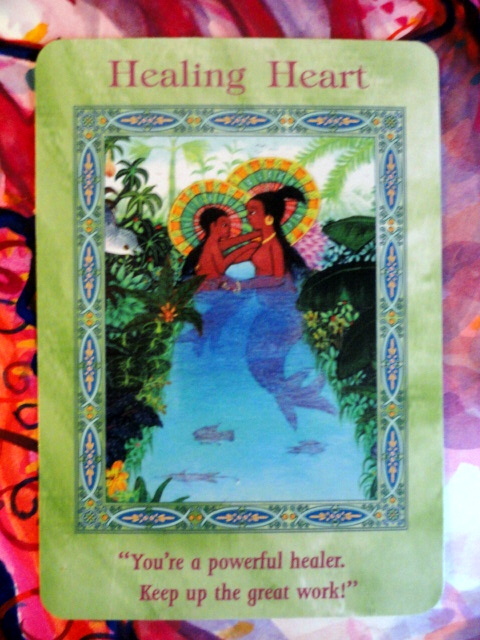 For the beginning of the week we have the card, HEALING HEART: You’re a powerful healer. Keep up the great work. This is an acknowledgement of who you know you already are. Do not doubt yourself! As you may well have been told, your work provides healing for others. Now you are being asked to step up to the next level! It may be by your words, touch, art or music. It’s also a time to purify your diet and thoughts to raise your frequency so you can access and use more life force energy. By opening to the next level, you’ll see a significant change in the people or situations that come into your life. The actual number of clients may increase and also those with a more in depth spiritual understanding. Be open to receiving and the angels and Heaven are there to support you completely, whether it is to take more classes, open your own business, increase your finances or find right partners. For the middle of the week we have the card, BLESSED CHANGE: A major life change brings you great blessings. Things may not be going as well as you had hoped or planned! This message is here to tell you that all is perfect! This change is allowing you to complete that which no longer serves you and your life purpose. You are guided to stay focused and peaceful at this time. By saying the affirmation: I welcome Divinely inspired change, and I stay centered in the eye of the hurricane as change occurs around me and within me. All change is for my highest good. I know that love is stable and always provides for me and my loved ones no matter what our outer situations appear to be. This change allows for opportunities for growth, expansion and new relationships. No matter how uncomfortable it may seem, keep breathing and doing your daily practices to maintain being centered. If the Universe directs you towards new actions and responsibilities, know that you’re perfectly qualified in the eyes of Heaven. And for the latter part of the week we have, SELF EMPLOYMENT: You’re a born entrepreneur and your business is surrounded by magical opportunities. So here the message is a continuation of the beginning of the week, saying you have what it takes to be self employed. Also, that you are spiritually supported by Heaven and the angels for all that you will need. Your job is to stay stay enthusiastic so that new opportunities will be attracted to you. By being positive and filled with love, you attracts customers, clients and contracts. Now is the time to do spiritual work such as praying, meditating, visualizing and affirming and also research, eating healthily, getting enough sleep, and exercising regularly. By taking on these multiple layers of actions you will be guided to miraculous business opportunities. It is a week of honoring yourself, staying focused , and doing your practices to stay positive . By taking these actions expansion and opportunities will be available to you.